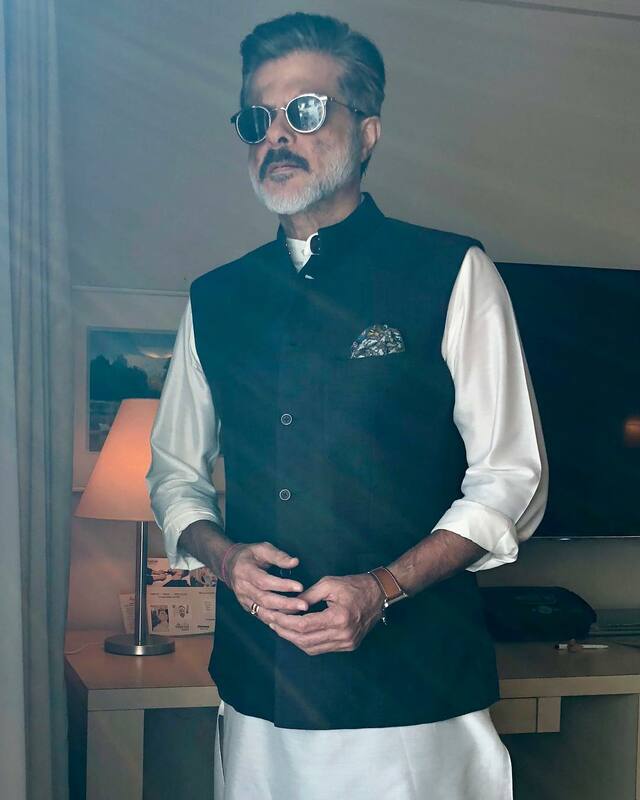 After wrapping the funeral ceremony of the veteran actress Sridevi, Anil Kapoor took his Twitter account and thanked the Mumbai Police to be by their families’ side during the entire process. The funeral took place in Mumbai on February 28, 2018. Anil Kapoor wrote, “I would specially like to thank the Mumbai Police for being by our side through it all”. The Kapoor family hosted a condolence meet at the Celebration Sports Club in Mumbai after which a grand funeral procession was taken out that marked the final journey of the late veteran actress Sridevi. A huge crowd turned up on the streets for the procession which included the public and the celebrities. The truck which carried the mortal remains of the actress was covered with white flowers and saw Anil Kapoor, Boney Kapoor, Janhvi Kapoor and Khushi Kapoor accompany Sridevi during her final journey. Sridevi breathed her last on February 24, 2018 in Dubai after she accidentally drowned in the bathtub after a fainting spell. After plenty of paperwork and formalities, the Dubai Police released the body on February 27, 2018. The mortal remains of the actress was brought back in a private chartered plane owned by Indian industrialist Anil Ambani. Sridevi during the funeral was wrapped in a red kanjeevaram sari and the tricolor.